Spread across Coorg, Mysore and Wayanad districts, the forests of Nagarhole and Kabini are a part of Nilgiri Biosphere Reserve. These were the private hunting grounds for the erstwhile royalty of Mysore, British viceroys and Grand Dukes of Russia. A very rich diversity of flora and fauna, some endemic to this region, attracts wildlife enthusiasts from across the globe. Kabini: Kabini river originates in Wayand, flows eastward and eventually joins Cauvery river. For irrigation purposes, a dam was constructed and the reservoir is at Sagur Villiage. Sightings are more common during summer when water recedes, bringing wildlife to the river banks often. Kabini Forest Reserve is one of the best destinations in this genre due to lush green vegetation along the banks, all year activity and easy accessibility amongst others. Nagarhole: Also known as Rajiv Gandhi Wildlife Park, this region is a Project Tiger Reserve. A rich forest cover, streams, shallow swamps, smooth sloping valley make it the best habitat for Asiatic elephants. Jenu kuruba and Koraga tribes inhabit the region. They use traditional methods for gathering food and supplies. They rely on forest produce like wax, roots and tubers for their day to day life. Over the years, government has made provisions for communities' sustenance. Providing a superior homestay experience for the wildlife enthusiast being its motto, KAAV does a great job of it! Located at the edge of the Nagarhole national park, this place indulges you with luxury in the midst of lush forests teeming with wildlife. The view from the deck of the forest canopy will linger long after you are back. Serene and tranquil through the day and yet exciting and stimulating at night, the Bison, a boutique tented camp, the first of its kind in India, offers luxury in the lap of adventure. Located between the Bandipur and Nagarhole National Parks on the shores of the exotic Kabini river, it offers you the perfect wildlife adventure. Have a fun stay at Coorg while you take part in the activities organized by Kabini Springs including jungle treks, swimming, boating, safaris, and more. Feel at home and enjoy the food at the in-house restaurant that offers mouth-watering delicacies. Nestled in the southern fringes of the Nagarhole National Park, the Kabini River Lodge is a perfect getaway for nature lovers. The breathtaking locale with the tranquil backwaters of the River Kabini presents an ideal setting for a long-awaited vacation. Capturing the very spirit of Kabini, Water Woods offers you a place to relax by the riverside, swinging in a hammock and taking a restful nap. Thus rejuvenated, you could take part in the wildlife activities, go canoeing or stargazing, or just get back to your beauty sleep! Situated at the southern border of Nagarhole National Park, Kabini Lake View Resort offers you comfort amidst the wilderness of Kabini. 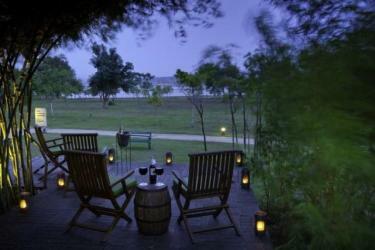 The peepal tree is located on the banks of magnificent Kabini river, surrounded by verdant landscape. It is 75.2 km away from Mysore Airport, 70 km away from Kadakola Railway station. 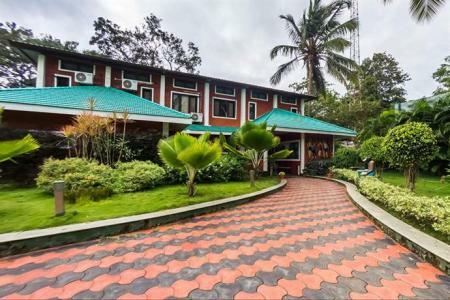 It is known for its modern facilities and efficient services like swimming pool, bonfire, mini library, power backup, outdoor games and other recreational activities like boat rides, bird watching, nature walk, trekking, joy fishing, cycling and meditating in the calm and well laid out tracks on the banks. Guests can choose to stay in spacious and well maintained cottages and the rooms that are provided with all essential conveniences to make the stay pleasurable for guests such as television, DVD player, tea/coffee maker, microwave, refrigerator, hot/cold water and bathroom toiletries. 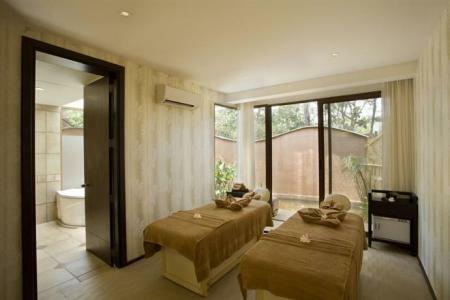 Ease out and have a lovely stay at The peepal tree! 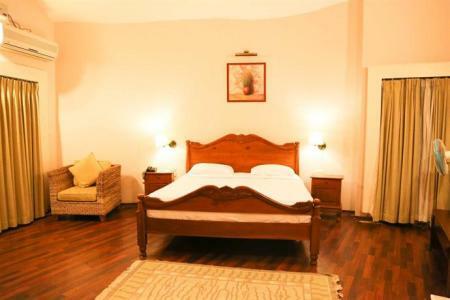 There are many comfortable places to stay around the periphery of Nagarhole. Since they are close to the national park, you can hear calls of the animals at night if you stay up long enough! Apart from comforts and a sense of being in the wilderness, these resorts also offer fun activities for the adventurer in you! 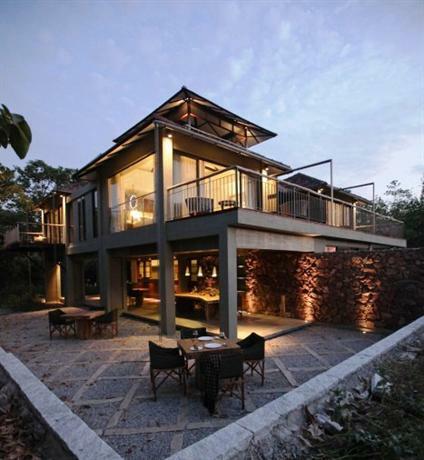 Along the edge of Nagarhole National Park lies Kaav Safari Lodge, which offers luxury blending in with the local landscape. 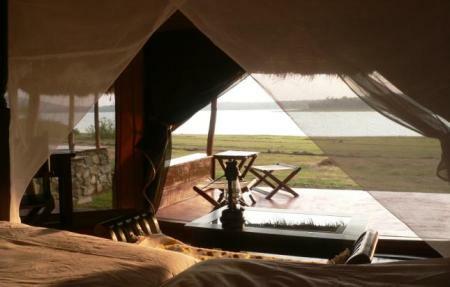 Bunk in an African- styled tented jungle camp at The Bison and experience the rustic ambience of the forest! As the name suggests, The King's Sanctuary is the perfect place for an urban traveller looking for an outbound get-away into the serenity of nature. 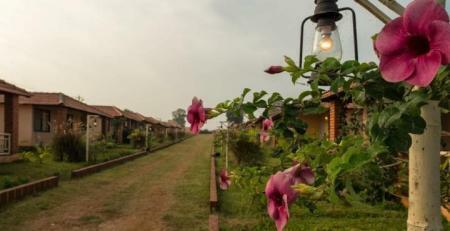 If you're looking for toned down luxury and something easy on your pockets, Kabini Lake View Resort offers humble and homely comforts with stunning views! 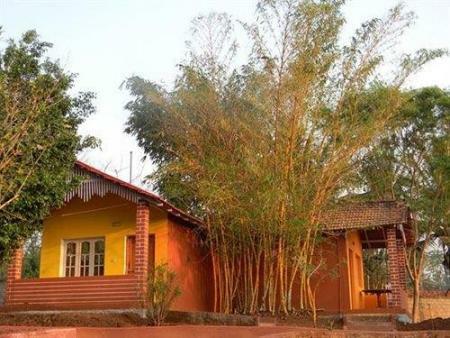 If you want to stay within the national park, prior reservations with the Wildlife Department in Mysore will get you accommodation in the Nagarhole Forest Guest House. Murukal Guesthouse is another option if you'd like to stay within the national park. The region surrounding Nagarhole, i.e. 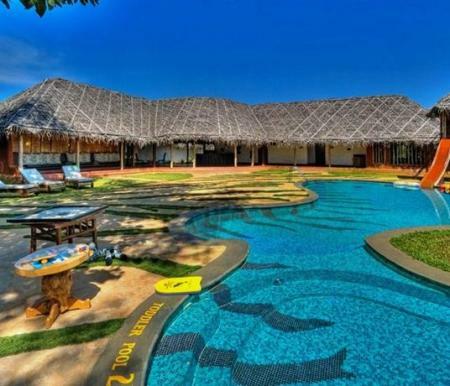 Kodagu, Kutta, also have private resorts and guesthouses you could stay at. How do I get to Nagarhole? 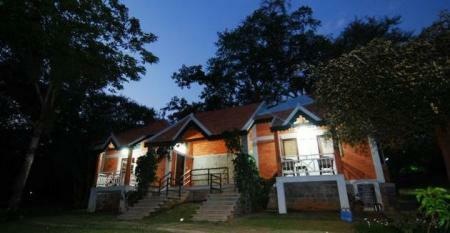 By car: The drive to Nagarhole is a comfortable 4 hour drive from Bangalore via NH275. You will drive past towns and cities like Ramanagara, Channapatna, Maddur, Mandya, Srirangapatna, Mysore, and Hunsur. This is the most popular choice among visitors. By train: The closest railway station to Nagarhole is in Mysore. You can travel from Bangalore to Mysore by train. You can then either hire a taxi or rent a car and drive to Nagarhole from Mysore. Both, the train journey as well as the drive, are very comfortable and scenic. By bus: The closest bus stop to Nagarhole is in Hunsur. You can take a KSRTC bus or a private bus from Bangalore to Hunsur, and then hire a taxi to Nagarhole. Another option is to take buses going from Mysore to H.D. Kote, which is located 30 km before the park. In Mysore, you could also board buses going towards Mananthavady, Bavali, Kattikulam (towns of Kerala) which pass through Nagarahole national park. However, timings may vary depending on the entry timings of the park. By air: For visitors coming from outside Karnataka, the closest airport to Nagarhole is in Bangalore. Other airports are in Calicut in Kerala, and Coimbatore in Tamil Nadu, from where you can take buses, or hire taxis or cars to reach Nagarhole. How far are Nagarhole and Kabini from each other? Kabini Wildlife Sanctuary is surrounded by many other national parks, including Nagarhole National Park. 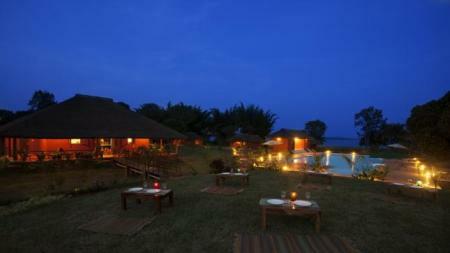 This popular destination is about 2 hours away from Nagarhole. The Kabini Dam and the region surrounding it attracts most visitors to see the beautiful scenery and wildlife around the reservoir. How do I get around Nagarhole? If you don't have your own 2-wheeler, car, or a rental, you can hire private cars from Hunsur or Mysore and use them to get around Nagarhole. Since there is no facility to fill petrol or diesel in the national park, it is a good idea to do so in Hunsur, H. D. Kote, or in Ponnampet, Kodagu. You could also make use of the interstate KSRTC buses going through the national park to Mananthavady, Bavali, and Kattikulam in Kerala. The best time to visit Nagarhole is from September to May. The summer months reach 30 degrees centigrade, but the wildlife viewing is much easier as they visit watering holes more often. Unless you are an avid naturalist, it is best to avoid visiting here in the monsoon months because the roads get mushy and you'd spend most of your trip indoors. What are the main attractions and things to do? Wildlife safaris are a must! The forest department organises wildlife safaris in the morning and evening. If you're the adventurous kind, head out on a trek! Take permission from forest officials, and always take a guide along with you. Visit Kutta - a neighbouring town, and Brahmagiri Wildlife Sanctuary and the Kabini Wildlife Sanctuary which are close by. Drive to the neighbouring town of Kodagu and drink some freshly brewed Coorg Coffee. Resorts and guesthouses also offer activities like boating and coracle rides, which are a fun experience! What do I eat and where? Ballele oota, which is food served on a banana leaf, is available in all the local restaurants. You can ask for vegetarian or non-vegetarian food. Most restaurants serve authentic Kodava cuisine too. You can even eat traditional south Indian food like dosa, bisi bele bath, akki rotti, idli, vada, sambar, and more! Don't forget to drink a cup of the famous Coorg coffee! What kind of wildlife can I spot? 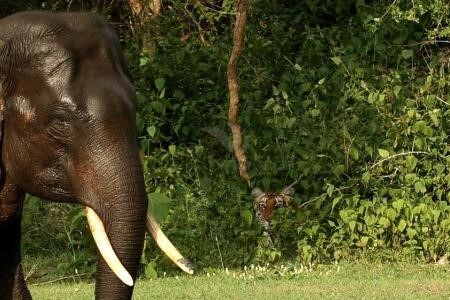 Nagarhole National Park is home to Elephants, Jackals, Tigers, Panthers, Gaur, Muntjac, Sambar, Spotted deer, Mongoose, Civet cats, Hyenas, and Sloth Bears. Reptiles include King Cobra, Krait, Python, Viper, Tortoise, Monitor Lizard ,Toads and more! There are no special permits required to enter Nagarhole, and entry is free. You will have to enter details like names, vehicle registration, number of visitors, etc. The road from Hunsur to Nagarhole is restricted, and only open from 6 A.M. to 6 P.M. Camping in the national park is not allowed because wild animals roam freely and there are chances of forest fires from a stray ember of a campfire. Other points of interests around Nagarhole - Bandipur National Park, Aralam Wildlife Sanctuary and Talacauvery Sanctuary, Irrupu Falls, Rameshwara Temple, Namdroling Monastery, Talacauvery. Remember that you might not always be lucky enough to spot animals during the safari. Nevertheless, you must remain calm, quiet,and seated unless the guide tells you otherwise.